Le Boom are Christy Leech and Aimie Mallon. 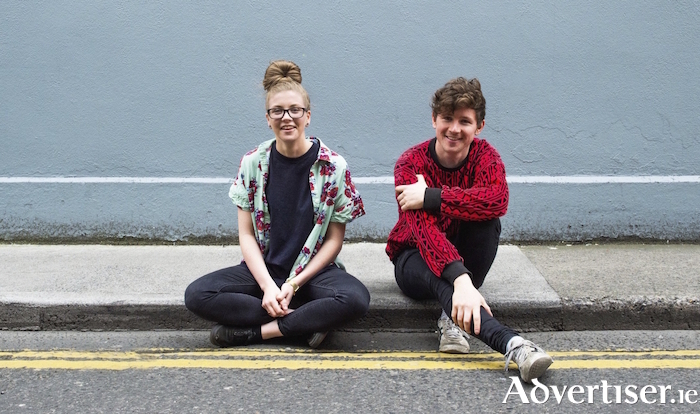 LE BOOM, the Irish electro/indie/house/pop duo of Christy Leech and Aimie Mallon, will ring in 2019 when they headline the Róisín Dubh's New Year's Eve party. Le Boom's debut single release, 'What We Do', received airplay on both US and Irish radio. It featured in the Summer 2017 ad campaign for Vodafone and has some 316,000 plays on Spotify. Their most recent single, 'Don’t Need It Now', came out last month and since then has amassed more than 100,000 plays on Spotify. Leech and Mallon have played Latitude, Body&Soul, Electric Picnic, Truck Festival, Castlepalooza and Indiependence, and performed gigs across Ireland, as well as in New York and Reykjavik. Emily Chu of Impose magazine said Le Boom were "perfect for dancing the night away to", while State called them, "possibly the best live electronic act to come out of Ireland". Also playing is Paddy Hanna, the Irish singer-songwriter who has won much acclaim for his new album Frankly, I Mutate, released earlier this year via Strange Brew Rekkids. Odd, yet intelligent; challenging, yet accessible, Hanna is a left-of-centre talent whose music embraces chanson, country, late night ruminations, and odd-ball pop, with touches of Lee Hazlewood, Scott Walker, and Richard Hawley. Support is from Bob Skeleton. The band call their music "midnight-pop" with late night grooves and melodies that "create a dynamic blend of West Coast cool and Mancunian mood". The band - Oisin Mod (guitar/vocals ), Rory Ryan (bass/vocals ) Jack Niland (drums ), Eoin Hynes (guitar ) - have released the EPs Shade and If This Isn’t Love. Tickets are available from www.roisindubh.net; the Ticket Desk at [email protected], Shop Street; and The Róisín Dubh.